What is the 1821 Digital Archive? Over the last two years, the Research Centre for the Humanities (RCH) is implementing a large scale research project concerning the upcoming bicentenary of the Greek War for Independence (1821). The research project has the following goals: first, to develop new research tools for historical research in a digital environment, and second, to create the necessary infrastructure for posing new research questions and opening new research areas, regarding the Greek Revolution period (roughly 1780-1830). 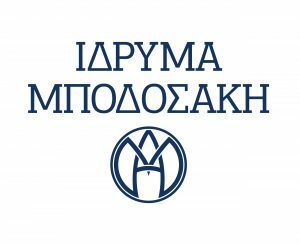 An important aim of the Scientific Committee is to provide new impetus for the public discussion of historical ‘certainties’ pertaining to the much discussed factors that led to the foundation of the Greek state. In order to accommodate these research goals, this collective project which abides by the questions currently being discussed in the field of Digital Humanities, has designed a digital platform, which will accommodate a uniform taxonomy of different kinds of material (text, image, sound). This database will unify material which is currently being stored in disparate, often inaccessible places, that has been partly digitized but has not been adequately described and annotated. At the same time, the project aims to secure the dissemination of new research through free access to the material mentioned above. More than just a database, the project will incorporate a number of digital applications, addressed to different audiences (e.g. digital narratives, digital exhibits and publications). A dynamic digital archive: the digital archive is powered by an open, multilevel database, which enables the organizing and classification of different kinds of material through its unified management. The important aspect of this side of the project is that the database was designed by historians, in close collaboration with archivists and computer engineers, with the express purpose of mirroring the prerequisites of the researchers engaged by the project and providing a user friendly environment. The design of the database is now complete, and the research staff is already in a position to fill in their data sheets. An important issue pertaining to the possibilities for cross-references and searching through the material, is the question of key-words. The Scientific committee is in close collaboration with all research Institutions partaking to the project, for the definition of indexes of key words. These key words work as metadata for the material inserted in the database and the choice of these words poses important methodological questions, since the field of Digital Humanities is still in search of best practices in this area. The 1821 DIGITAL ARCHIVE project is now well under way, and the Scientific Committee is happy to announce that the RCH has signed bilateral agreements with the majority of libraries and archival institutions which house pertinent material in their collections. These agreements were signed following in situ visits by members of the Scientific Committee, who reviewed the available material and discussed priorities with the directors of each institution. The Scientific Committee has also undertaken to formulate a series of research topics which will form the core of independent studies to be commissioned during the duration of the project. The aim is to engage junior researchers, and some of the themes to be discussed are: Space (habitat networks in the revolutionary period), the State (the formation of a state apparatus as seen from grass root level), Revolution in a global environment, Archives (constructing the memory of the revolution), Art (visualizing the Revolution) etc. An important “by-product” of the Committee’s meetings with the researchers and supervisors from each Institution is the need felt by all for meetings at regular intervals, in order to exchange information and experience from work at the project. For this purpose, the RCH has scheduled a number of meetings. This not only allows for timely trouble shooting, but more important, provides a relax environment for discussing theoretical and methodological issues as they arise, as well as fostering a team spirit, important for a project with a five-year span. The Research Centre for the Humanities (RCH) is a non-profit organization established in January 2015. Its main purpose is the funding of research in the humanities through a process of annual public calls for the submission of research proposals by holders of doctoral degrees. The RCH is proposing the creation of a multilayered online platform which will gather primary and secondary research materials and present them in a way that is suitable for both educational and research use. 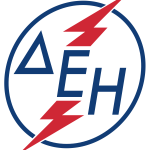 Digital repository: Organizational infrastructure (databases) built on data related to the Greek Revolution of 1821, which will be accessible to visitors to the site. The related materials will be digitized and organized in databases. This organizational infrastructure will be dynamic in nature, enabling subsequent input of new material once the project has reached completion. Website: This level involves the creation of a single environment for the presentation of the digital repository, which will enable link-up of its digital collections. The site will be designed to serve as a tool for managing the digital archive generated by the digital repository and also for research and education purposes. Online exhibits: With one of its key aims being to provide a vivid presentation and link-up with the material in the digital repository, the website will use state-of-the-art visual display of information: the online exhibits will propose use options for the materials and digital storytelling that will be both attractive and accessible to a wider public. Transcription of documents through crowdsourcing. “The Greek Revolution of 1821: Digital Archive” will make a public call (both for researchers and members of the public in general) for participation in the transcription of archival documents via the relevant software, on the lines of international crowdsourcing programs. This option can serve as a valuable educational tool and basis for cooperation with international research bodies. Christos Loukos, Emeritus Professor of History, Department of History and Archaeology, University of Crete. Constantin Tsoukalas, Professor Emeritus of Sociology at the Faculty of Political Science and Public Administration, National and Kapodistrian University of Athens. President of the Executive Board of the Hellenic Foundation for Culture. To involve young Greek academics and researchers who hold doctoral degrees, so that they can continue their research work in Greece without having to go abroad. To create a user friendly tool where archival material, research results as well as the songs, costumes and paintings of the period will be easily retrievable. This will greatly facilitate the study of related scholarly issues. To develop an educational tool for both secondary school and university-level use that disseminates effectively the results of academic research. To reach out to the international scholarly community, with the publication of the project in both Greek and English. 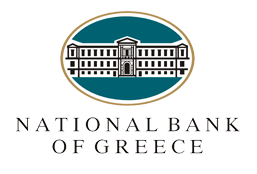 The Research Centre for the Humanities, in the framework of the project “1821 Digital Archive” is funded by the National Bank of Greece, through the Act4Greece platform. The Project was incorporated in NBG’s crowdfunding platform Act4Greece in 2016, and specifically in the area of “Research, Education and Training”. The first funding of the Program was thus ensured: throughout the first phase of Act4Greece, €64,317 have been raised. In collaboration with NBG, the Scientific Committee has organised the second phase of crowdfunding, opening the platform once more, from October 2017 to April 2018. The sum of €9.610 has been raised so far. The RCH contributes by funding part of the Research Project for the next 4 years. The Project, being a multi-annual and multi-level endeavor, needs the continuous support of a) large public benefit institutions of the country, whose strategic purpose is to support initiatives for research of cultural and educational nature, but also of b) other public or private institutions and c) natural persons. John S. Latsis Public Benefit Foundation Public Power Coorporation S.A.
Accenture S.A. MELLON TECHNOLOGIES SPACE HELLAS A.E.